Preheat oven to 450 degrees. Season cod fillets with salt and pepper. Heat a little olive oil in a nonstick skillet. Sauté onion and garlic over a medium heat for about 5 minutes. Add tomatoes, capers, olives, and a little salt and pepper. Simmer for 5 minutes, stirring occasionally. Spoon a little sauce into a baking dish. 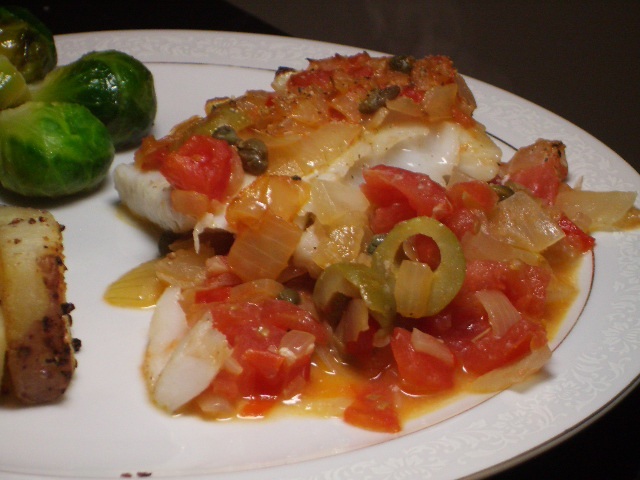 Place cod fillets on top, and then cover with the remaining sauce. Bake for about 10 minutes, or until the cod is flaky. ENJOY! 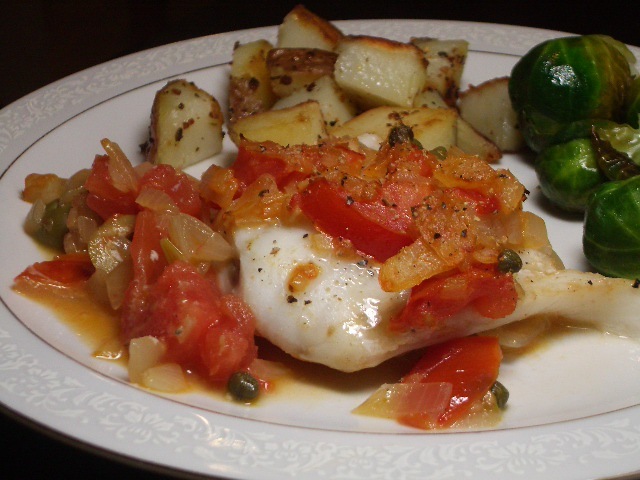 We served this with delicious potatoes (boiled quickly and then sauteed) and brussel sprouts. yum!